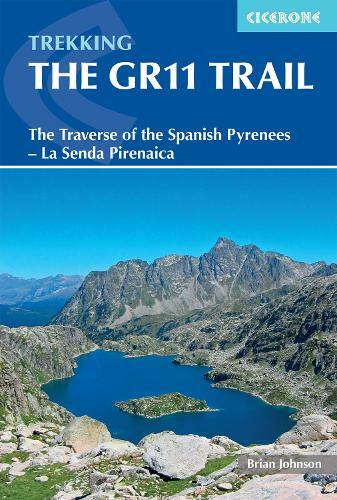 The GR11 trail (La Senda Pirenaica) is a glorious 820km traverse of the Pyrenees from the Atlantic to the Mediterranean on the Spanish side of the border with France, taking about 47 days to walk. Although it's a serious challenge for experienced hikers the route is less demanding than the higher-level HRP, sunnier and wilder than the GR10 which runs along the French side, and well waymarked throughout with regular opportunities to find accommodation and stock up your supplies. The guidebook presents the route in 47 stages of 8-31km and provides everything trekkers will need to take up the challenge - detailed route description, excellent photographs, lots of background information and unique custom-produced maps.. Also included are bad weather options - although the weather is often good along this route - detours to find accommodation at some points, and advice on where to stay, supplies, language and logistics, as well as a glossary including Aragon, Basque and Catalan words, to help you find your way.